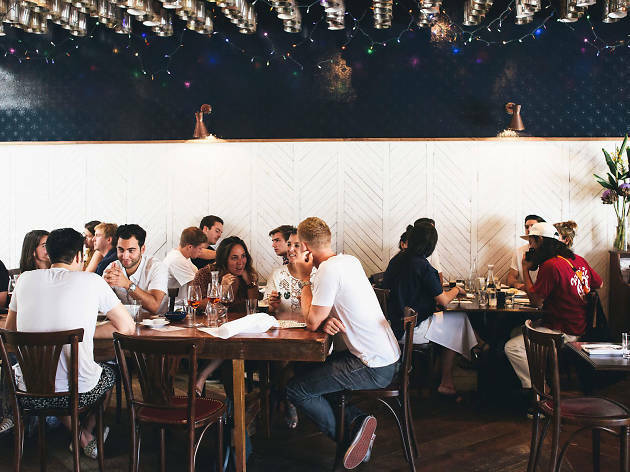 Channel your inner Parisian with a visit to one the best French restaurants in Los Angeles. Caviar, anyone? L.A. is bursting with phenomenal food from every cuisine—Indian, Mexican, Greek, you name it—but the French food scene here is alive, well and better than ever. From traditional French cooking to experimental prix-fixe menus, food from the tres chic country takes a number of forms. But where to start? 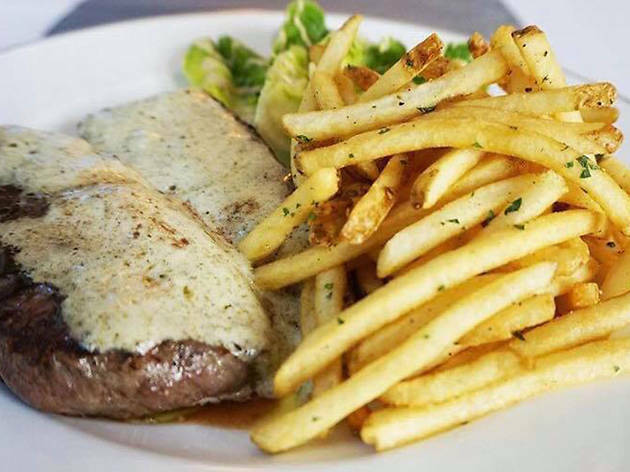 If you're looking for some top-notch places to get your steak frites fix—or maybe just a really good omelet—check out our guide to L.A.’s best French restaurants. It seems wrong to start anywhere else—Trois Mec has readily defined the resurgence of trendy French food in Los Angeles. Helmed by Ludo Lefebvre, Trois Mec is still one of the hardest spots in the city to snag a reservation, especially a coveted weekend slot. Be prepared to wake up early and grab tickets online through Tock; all in all, the whole experience is a bit like trying to get tickets to a coveted music festival. 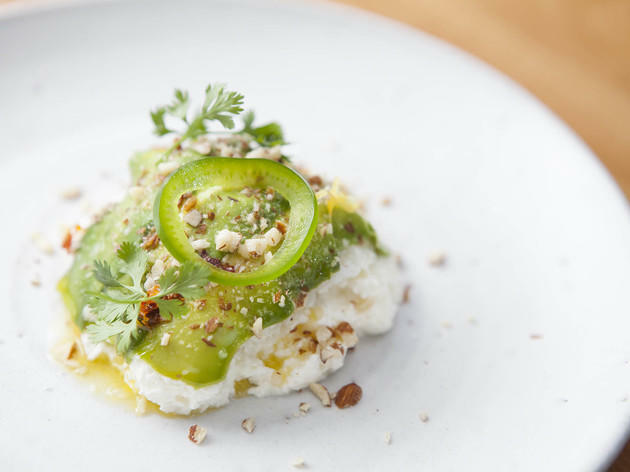 The food, however—sushi rice topped with cod-infused cream and ripe avocado, perhaps, or plate of “potato pulp” made with butter, Sales cheese, onion soubise and bonito—is beyond worth it. 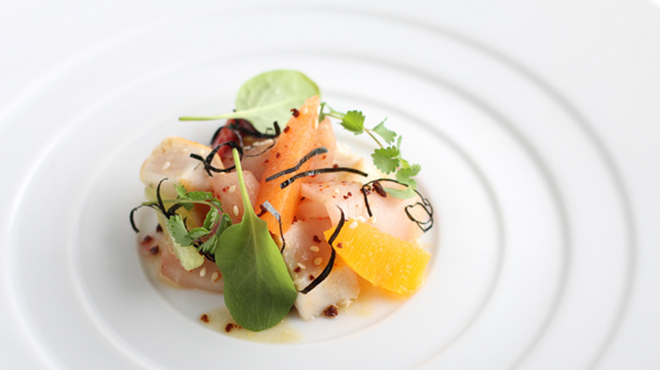 Recruit some friends and buckle in for a tasting menu ($110) that will blow you away. 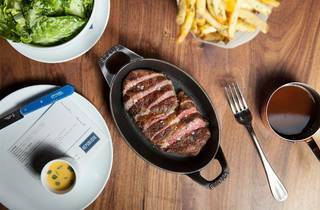 Petit Trois is just what it sounds like: a smaller, more accessible version of Trois Mec, the younger sibling offers the same quality of food on a menu that won’t leave as much of a hole in your wallet. Oh, and Petit Trois doesn’t even allow reservations. 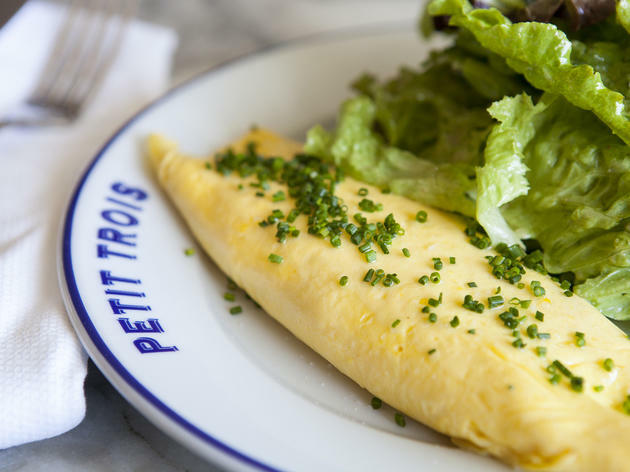 Everything here is a winner, but Petit’s hallmark just might be the omelet—despite the fact that it’s truly just made with fluffed eggs, Boursin cheese and plenty of butter, most people swear it’s one of the best dishes they have ever tasted. Don’t believe us? Better head over and find out for yourself. That is, if you don’t wind up ordering the Big Mec first, which is undebatably one of the city’s most iconic between-buns dishes. 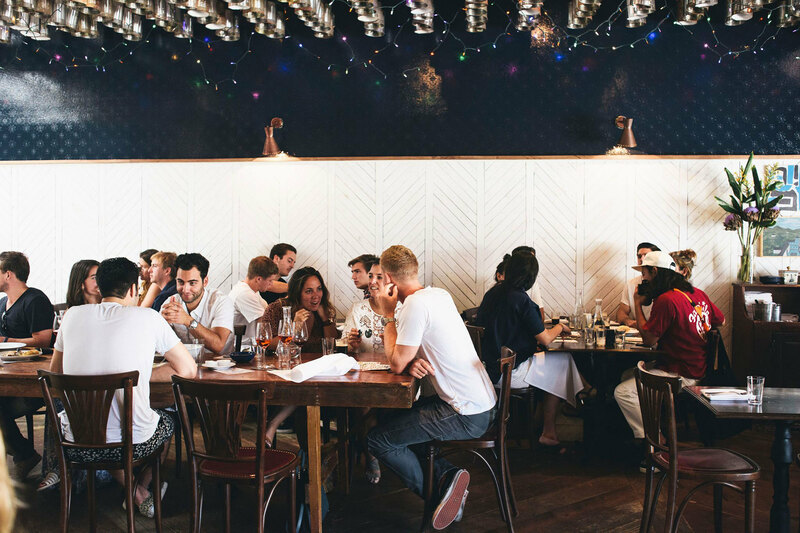 If there’s one French restaurant in L.A. that can’t be stopped, it’s République. 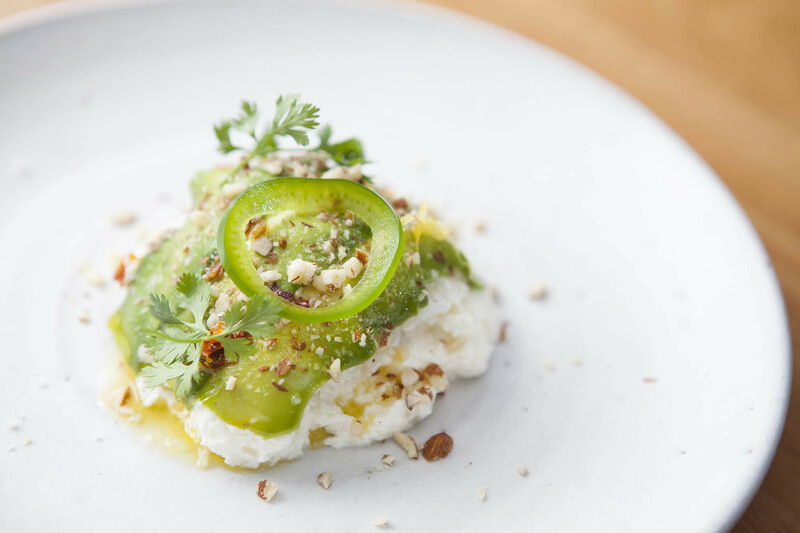 The La Brea eatery is one of Jonathan Gold’s favorite spots, but if that isn’t enough to convince you, just take a look at the lines that form during breakfast, lunch and dinner. 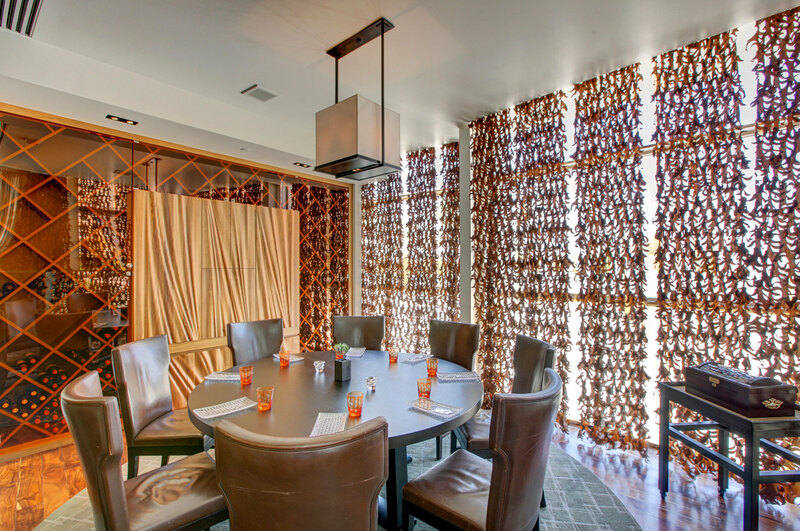 It’s hard to tell which is more stunning: the menu or the dining room itself. 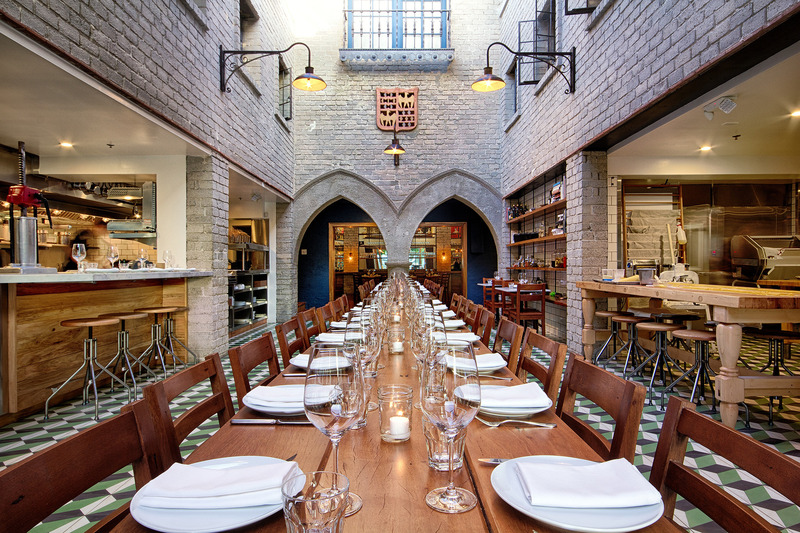 The cathedral-esque space—originally built for Charlie Chaplin—is a beauty, but it’s the food lineup that will likely blow your mind: salmon tartines and brioche French toast, kimchi fried rice and shakshouka, duck liver mousse and steak frites—chefs Walter and Margarita Manzke nail each one of these admirably. 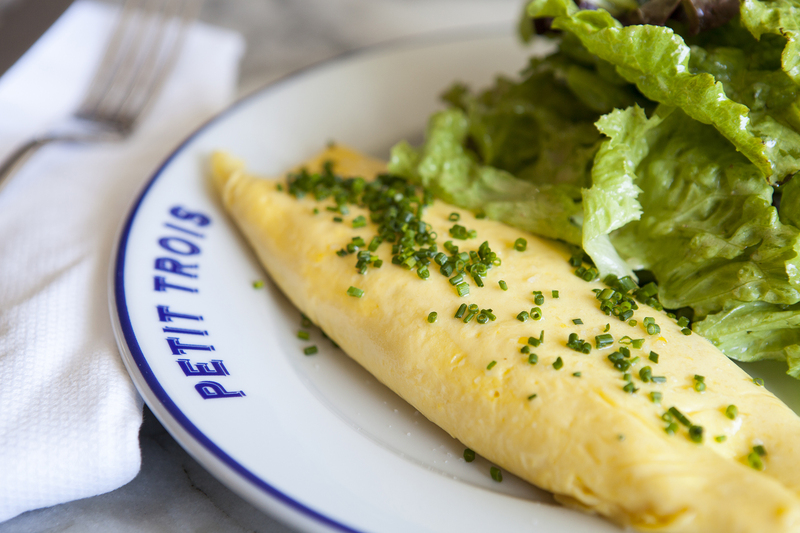 While many of L.A.’s French restaurants expand beyond traditional French cooking, Le Petit Paris focuses on the classics. They’re also open during the day; though lunch and dinner are excellent (think top-notch French onion soup, foie gras and sorrel-roasted salmon), you should definitely give the Sunday brunch buffet a whirl. For $49, diners have access to plenty of options, like a Benedict station, seasonal carving stations, fresh French pastries, charcuterie and a chocolate fountain. Nestled on the ground floor of the Walt Disney Concert Hall, Joachim Splichal’s haute restaurant hums with perfectly-harmonized service. Since 1989, Patina has been offering exquisite contemporary French fare of the caliber usually reserved for healthy expense accounts. 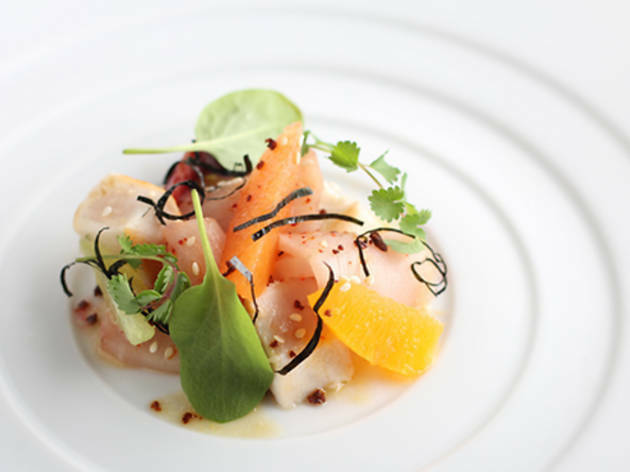 Executive chef Andreas Roller has crafted a top-tier tasting experience: three courses for $95 and six courses for $135. Both do a bangup job, and tend to emphasize foie gras and seafood. Pay attention to the cheese cart when it rolls around after dinner—you’ll be happy you did. 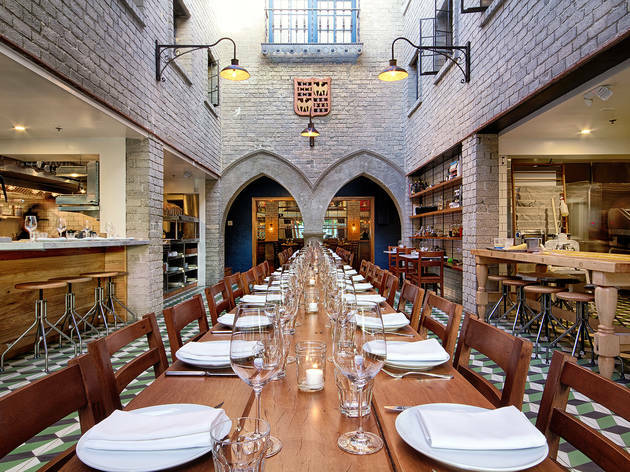 Michelin-starred chef Tony Esnault (Church & State) has transformed a Downtown courtyard into an incredible French restaurant. 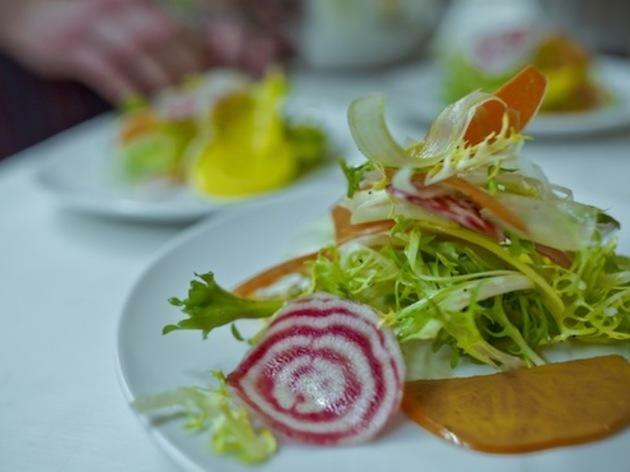 Right in the middle of a beautiful atrium, surrounded by trees and a fountain, Spring is serving up some of L.A.’s best French fare. You’ll find both a lunch and dinner menu at this romantic restaurant—with a beef tartare to write home about—but if you’re looking for a total date-night grand slam, go for the $85 tasting menu ($131 with wine pairings). It’ll take you through fresh crudo, mushroom risotto, halibut, duck and an excellent poached pear. On the grounds of the original Nabisco building sits chef Tony Esnault’s Church & State, another player in DTLA’s booming French scene. 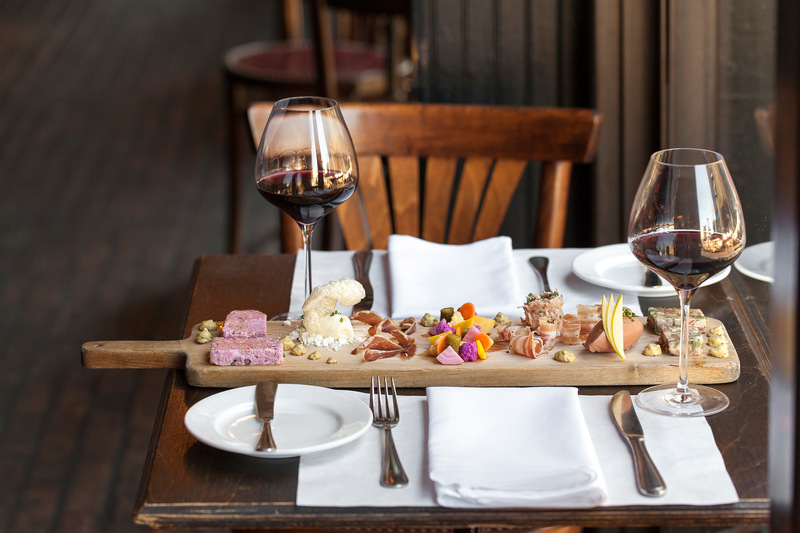 This is a place to share dishes—as oysters, cheeses and small plates decorate the menu, and there's also that beastly wine program). 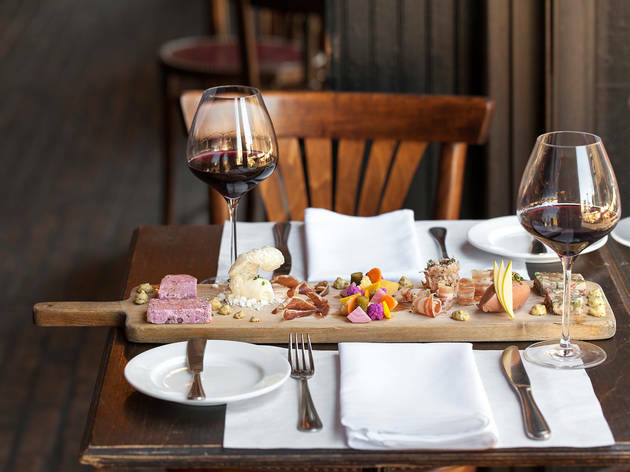 If you’re going that route, be sure to get heavily involved with the Grande Charcuterie, a board full of duck prosciutto, chicken liver mousse, house-cured pork belly, pâté de campagne, pork butter, head cheese, mustard and house-pickled vegetables. It’s a charcuterie board for the ages. 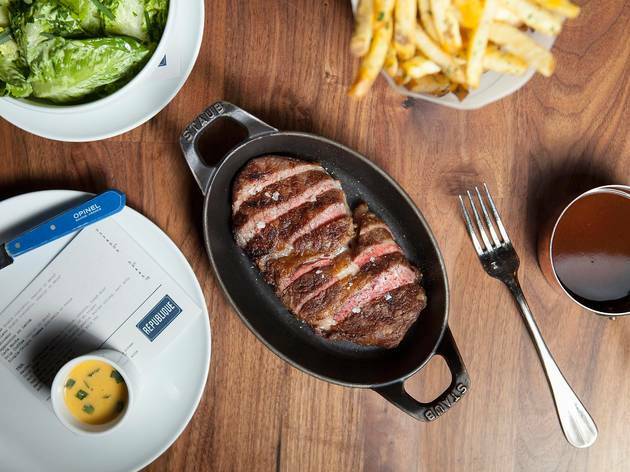 This slick Beverly Grove hot spot has been drawing a crowd since opening its doors. Wine pairing is the name of the game here, and between Marvin’s extensive wine list and knowledgeable staff, you’d be hard-pressed to make the wrong choice. Gather up a group and split some stuff, like the house ratatouille, white anchovies or that A+ heirloom tomato and burrata salad. And yes, Marvin is another one of those French spots that you shouldn’t leave without ordering a poached pear. 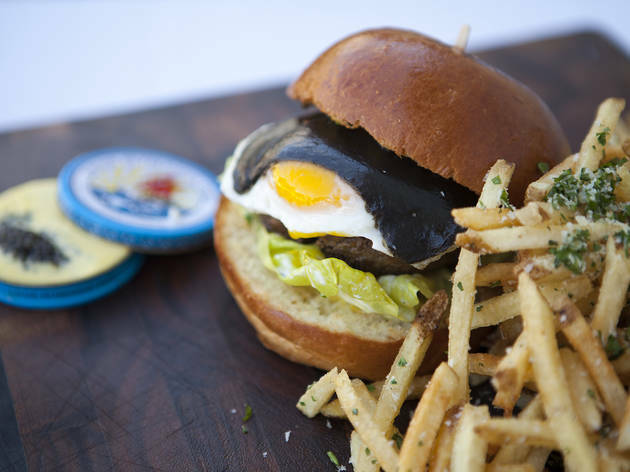 Papilles Bistro, a discreet restaurant located right by a 101 freeway onramp, boasts one of L.A.’s best prix-fixe dinners. The French strip-mall legend (owned by Santos Uly of Lost at Sea and Mignon wine bar) has managed to keep its menu fresh and relevant. 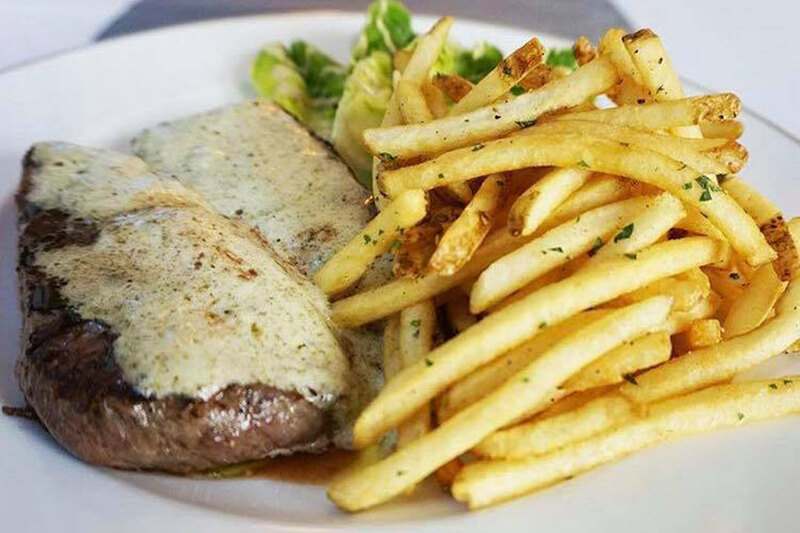 For $38, diners can tuck into a three-course meal bursting with French classics, with additional snacks included. Try the duck à l’orange or the bluenose bass. And while you’re at it, go for the rotating, supplemental side dish, because it’s always a knockout. 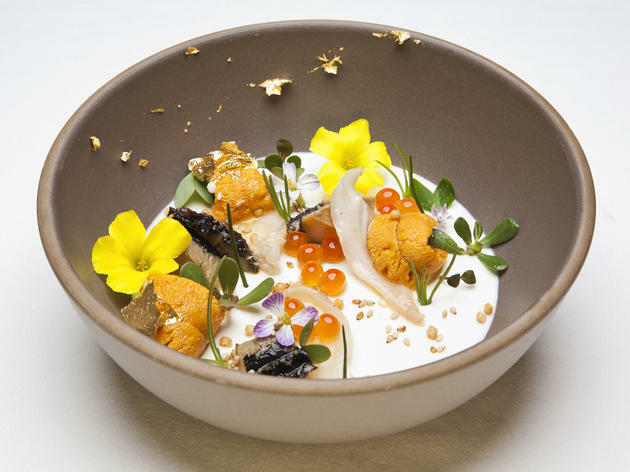 Michelin-starred chef Josiah Citrin is behind Mélisse, a fine-dining restaurant that specializes in elaborate tasting menus. 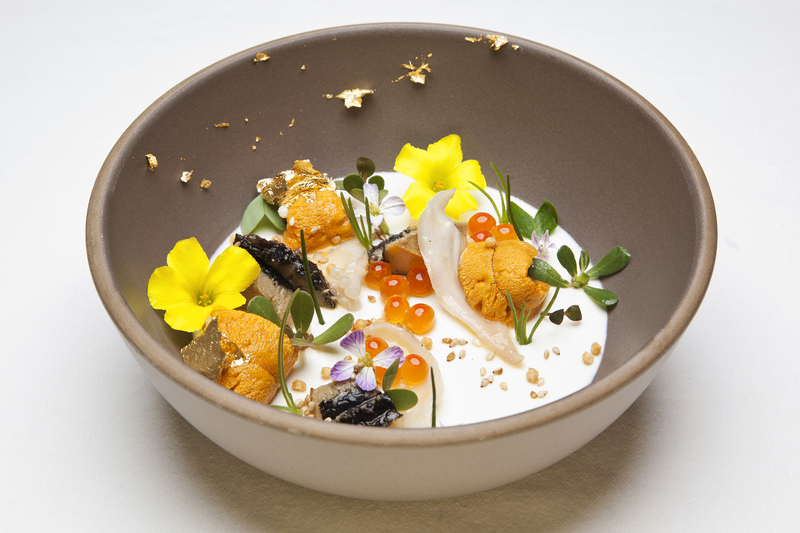 The price tag starts at a cool $135 for four courses, running up to $195 for a whopping 10 courses, but you’ll get to indulge in plates full of Golden Osetra caviar, Maine diver scallops, seared foie gras, prime rib eye, stuffed rotisserie chicken and an unforgettable egg caviar. Don’t fret if you’re not into meat—there’s a vegetarian tasting option as well. 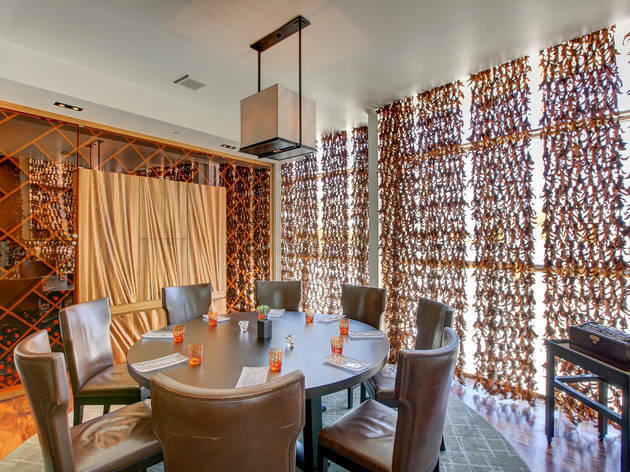 Mélisse is easily one of L.A.’s most upscale dining experiences, so if you’re celebrating a special occasion, impress your dinner companion and book a reservation here. Are you staying at L’Ermitage Hotel? Are you anywhere near L’Ermitage Hotel? Are you in L.A. at all? 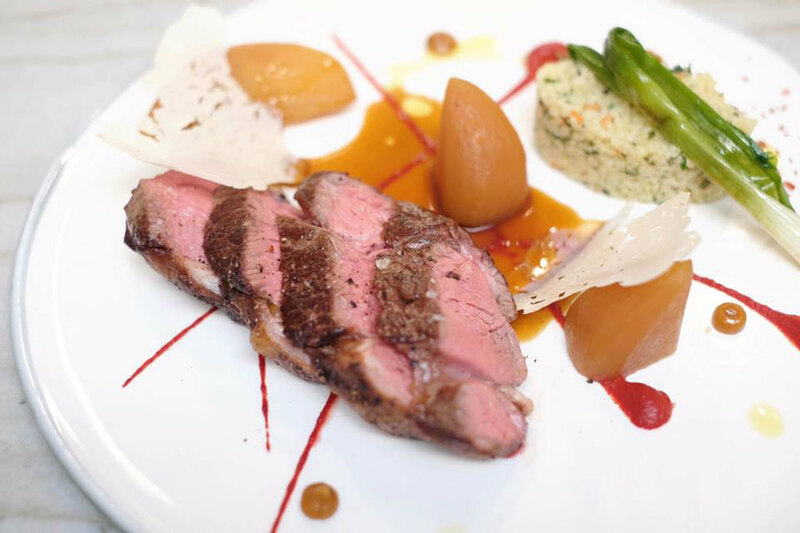 All of these are great reasons to visit Avec Nous, the upscale French spot tucked away inside said hotel. The menu is packed with goodies like Gruyère omelets, a standout Niçoise salad and rack of lamb. The cocktails are exceptional as well—there’s a French 75, of course—and you’d do well to order a few. 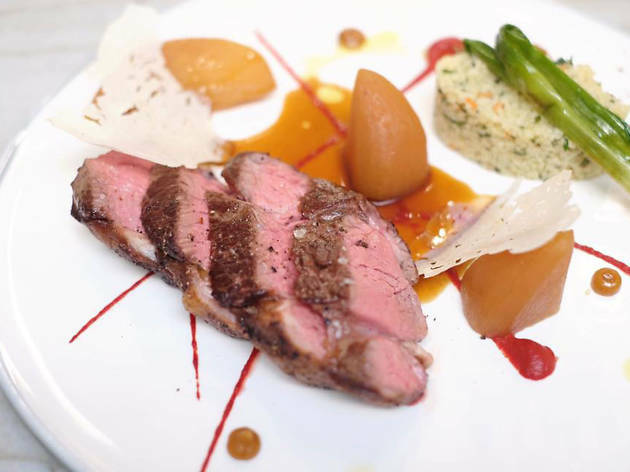 When it comes to French restaurants in L.A., Petrossian is just what you need in a sea of elaborate tasting menus. Head to this West Hollywood institution for a homey, relaxed vibe that does caviar the right way. 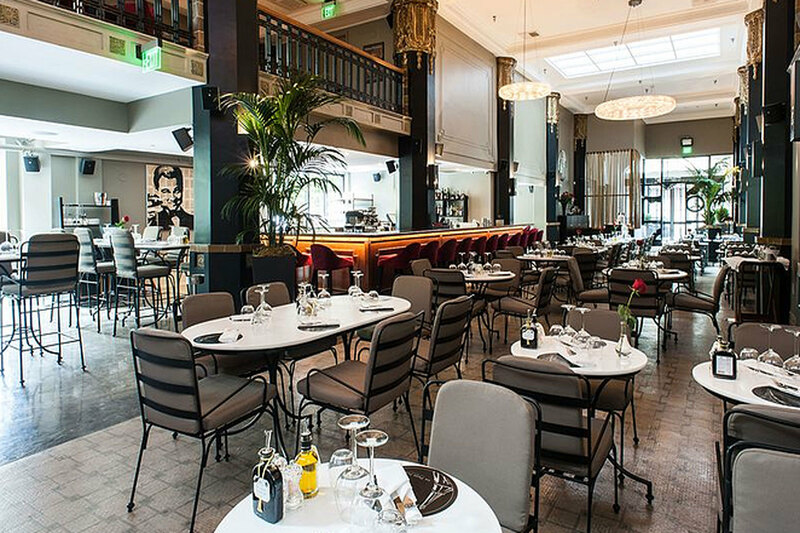 It offers the ultimate French brunch, with options like smoked fish platters, cheeses, charcuterie and plenty of caviar and accompaniments, and of course, teas, coffee and jams. People also lose their minds for the caviar martini, and there are even monthly caviar classes. 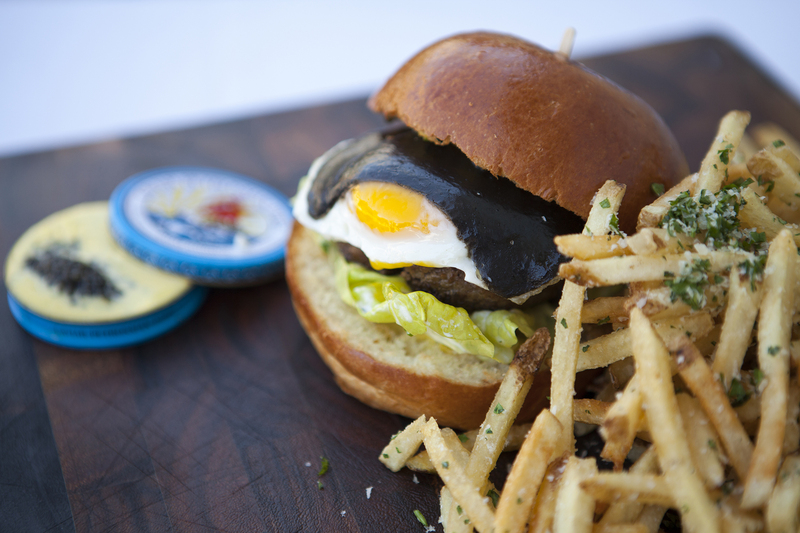 Did we mention the caviar? 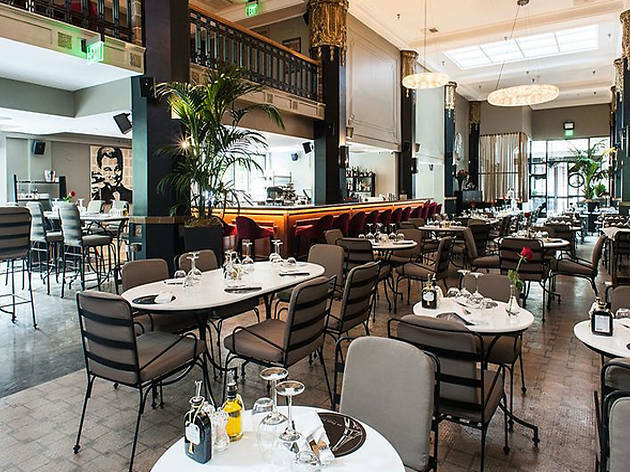 Whether you’re in the mood for French cuisine or new American, these fine-dining restaurants are perfect for special occasions.